Let's face it, phone and car batteries die more often than we would like. 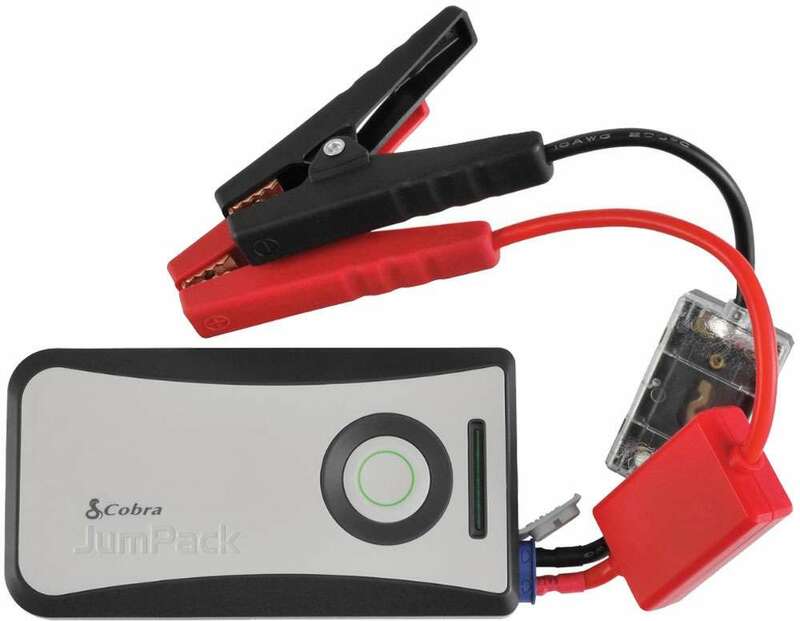 You can power up both now with the Cobra JumPack™ CPP 8000. 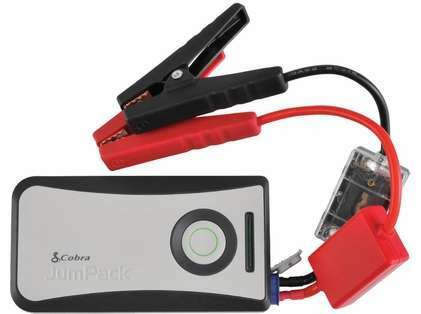 Small enough to carry it with you anywhere you go, easily stowing it away in a handbag, briefcase, or even a pocket and weighing in at just under 10 ounces, it is one of the most-compact and portable power packs while offering dual capabilities of mobile-device charging and vehicle jumpstarting, including a range of cars, SUVs, motorcycles, outboard boat engines, etc. multiple times.